Bond Dickinson has posted flat turnover for 2016/17 of £104m, while profit per equity partner (PEP) has slipped 4% from £275,000 to £265,000. Meanwhile, profit per lawyer at the firm is up 2% to £38,000, albeit against a 7% fall in total lawyer headcount to 478. Equity partner numbers at the firm have increased by two to 68, explaining the fall in PEP. 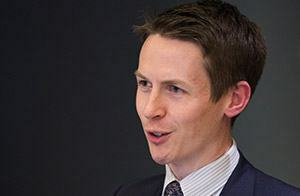 Speaking to Legal Business, Bond Dickinson’s managing partner Jonathan Blair (pictured) said it had been a good year for a number of different business groups, particularly private wealth. Key client wins for the firm over the last year have included CCS, AIG, Crown Estate and Lloyds Banking Group. The 2016/17 financials do not account for the tie-up earlier this year with US firm Womble Carlyle Sandridge & Rice, which will go live on 1 October. The combination will create a new transatlantic law firm and UK top 20 firm with £340m in combined revenues. The new combined entity, which will be structured as a company limited by guarantee, will not financially integrate the two firms, although will be a shared ‘pot’ for any integration costs incurred as well as a possibility of a future shared pot to reward collaboration and team work. The last year also saw Bond Dickinson expand its presence in Scotland with a second office in Edinburgh focusing on energy, financial institutions and real estate. The firm already has an office in Aberdeen which is focused on oil and gas. Bond Dickinson has joined up with its US strategic alliance firm Womble Carlyle Sandridge & Rice to create a new transatlantic law firm and UK top 20 firm with £340m in combined revenues. At a partner vote at Bond Dickinson held earlier this week, over 75% of partners voted for the tie-up. At Womble Carlyle, the threshold was slightly lower, with the firm needing two thirds of those partners eligible to vote to back the combination. While each firm will continue to operate as a separate and autonomous partnership with independent US and UK management, the combined entity will be led by a new transatlantic eight member board of four partners from each firm. Bond Dickinson partners Simon Watts, Nick Barwood and Paula Dillion, alongside US partners Jeff Hay, Christopher Bolan and David Hamilton, will be appointed to the board. 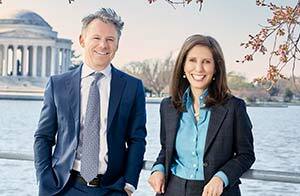 Betty Temple, Womble Carlyle’s chair and chief executive, and Jonathan Blair, Bond Dickinson’s managing partner, will co-chair the board. Both firms have been working together in an exclusive strategic alliance for almost a year. Temple, however, told Legal Business, that the relationship had progressed rapidly over the last six months. ‘Since we launched the strategic alliance we have been really impressed by the breadth and depth of the collaboration between our firms particularly in relating to the client service, business development and knowledge management. ‘While it has been established for nearly a year, in the last six months it has rapidly progressed to a point where we just believe we can do more combined, even more for our clients’, Temple said. The ‘combined firm enables us to provide an enviable transatlantic platform for further expansion and growth in the UK, where London remains a priority for investment along with Edinburgh and other regional areas important to US and UK clients,’ he added. The combined mid-market firm will have twelve markets, including energy and natural resources, healthcare, insurance, real estate, retail and consumer and pharma and life sciences. The Crown Estate has awarded the legal mandate for its energy, minerals and infrastructure portfolio to LB 100 firms Hogan Lovells and Bond Dickinson. The panel was last reviewed in 2013 when Norton Rose Fulbright was given a spot alongside Bond Dickinson. General counsel (GC) Rob Booth oversaw the tender process, which was commenced in September 2016. Booth replaced previous GC Vivienne King in May 2016. The appointments will see Hogan Lovells advising the Crown Estate’s renewable energy business, including its offshore wind portfolio which supplies 5% of the UK’s annual electricity. 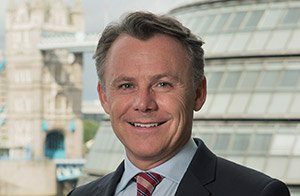 Bond Dickinson will offer advice to the Crown Estate’s minerals and infrastructure business, which covers marine aggregates and subsea cables and pipelines. The Crown Estate oversees an eight million square ft £7bn central London commercial property portfolio including all of Regent Street and a large portion of St James’s. In January 2017, The Crown Estate awarded the sole mandate for this portfolio to Berwin Leighton Paisner (BLP). Upon Booth’s appointment in May 2016, it was announced that the Crown Estate will be overhauling its sets of legal advisers. National player Bond Dickinson is to expand its Scottish presence with a second office, in Edinburgh. The firm, which already has a presence in Aberdeen, will open an office with around two or three partners and up to 20 staff. The Edinburgh office will be based in Princes Street in the city, with a particular focus on energy, financial institutions and real estate. Bond Dickinson’s Aberdeen office is focused on oil and gas. Commenting on the launch, Jonathan Blair, managing partner at Bond Dickinson said: ‘We wanted a second office in Scotland to support our clients and Edinburgh was a natural choice, being at the heart of Scotland’s central belt. 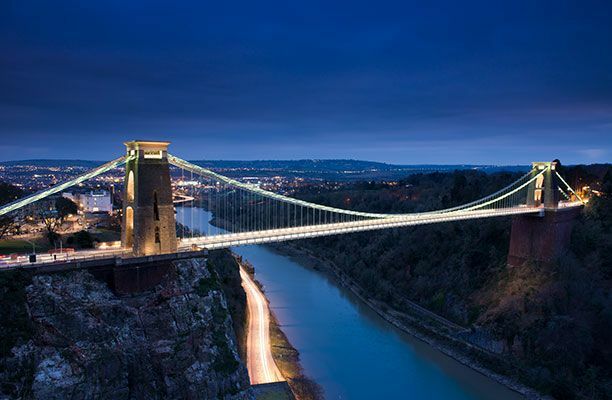 Last year saw mid-market firm Bond Dickinson secure an exclusive alliance with full-service US firm Womble Carlyle Sandridge & Rice. The deal means that Womble Carlyle will refer all UK work to Bond Dickinson and vice versa. In December 2014 Bond Dickinson entered into its first strategic alliance with German firm Redeker Sellner Dahs as part of a growing international strategy. The firm saw both its turnover and profit per equity partner (PEP) dip by 3% for the financial year 2015/16. Turnover stands at £104m, down from last year’s figure of £107m, while PEP is £275,000 compared to £284,000 for the financial year 2014/15. The firm said the figures are a result of investment in the business and people in order to be in the best position for long term growth. Pinsent Masons, Bond Dickinson and Shepherd and Wedderburn have all won places on Water Plus’ legal panel. 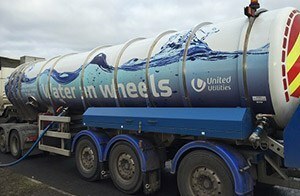 The new business water retailer is a joint venture launched by FTSE 100 water company Severn Trent and United Utilities. Following a process led by Water Plus head of legal and company secretary Kristin Garrett, the LB100 firms have won a places on the panel lasting two years. Stoke-on-Trent based Water Plus launched in June last year to provide services for business customers when new competition rules are introduced from April 2017. The new rules will allow eligible customers to switch water providers. Eversheds is Severn Trent’s sole adviser, renewing for a five-year term in 2015. The water company had considered appointing at least two firms to its roster with the company’s review taking proposals from a total of 13 firms across five different areas: debt recovery, employment, general quality regulation, property and combined competition/commercial economic regulation. Earlier this week Legal Business revealed utilities giant National Grid has reorganised its in-house legal function following the £13.8bn separation of its gas distribution business. The new business, National Grid Gas Distribution, has appointed National Grid’s former legal business partner Mark Cooper as its general counsel and company secretary. National Grid Gas Distribution will retain the same panel arrangements with its main law firms, meaning firms will now sit on two panels. 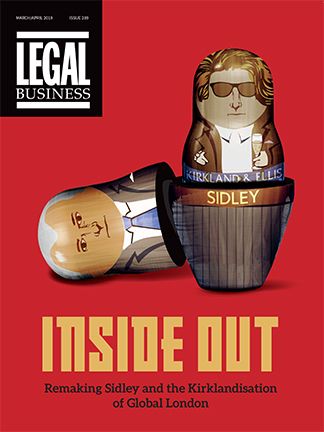 The panel was reduced in August 2015 following a review, with Herbert Smith Freehills, Irwin Mitchell and Addleshaw Goddard all winning places alongside incumbents Eversheds, Linklaters, CMS Cameron McKenna and DLA Piper. Bond Dickinson has restarted its salary review, after the firm postponed the process in September due to the effect on activity levels caused by Britain’s vote to leave the EU. In an email to staff managing partner Jonathan Blair had told the firm there had been ‘a dip in activity levels’ and that ‘the decision to leave the EU appears to impacting on client activity and instructions’. Last week Legal Business revealed that Berwin Leighton Paisner (BLP), the first known firm to freeze pay after the Brexit vote, has gone ahead with its salary reviews. In July BLP froze pay for all UK-based staff following Brexit concerns, with managing partner Lisa Mayhew stating in an email it was ‘the prudent thing to do’. The freeze included salaries for associates, paralegals, business development, marketing and other back office staff. A spokesman said the freeze was over and the firm will now revert to the ‘usual review timeline’ which means the next review is due in July 2017. BLP is only one of the firms which chose post-Brexit caution after the vote. Addleshaw Goddard also froze salary reviews for staff and delayed its annual review of partner remuneration for both fixed-share and full-equity partners in August, and then restarted its salary review for all staff last month, pledging to backdate increases. After a similar move in the summer, Gowling WLG also informed its staff on 20 September that it will restart its delayed salary review, as did Trowers & Hamlins. Trowers had placed the freeze on fee earners’ pay in August, citing the ‘economic uncertainty’ following Brexit, and then reversed it in September following a management board meeting. Olswang has suffered a double exit with its co-head of life sciences departing the firm in favour of Clifford Chance, while Bond Dickinson has appointed another partner from the tech firm as its head of funds. IP partner Stephen Reese joined Olswang in 2002, advising on contentious and non-contentious intellectual property matters. Reese will leave to join Clifford Chance’s corporate practice as City firms continue to reinvigorate their IP practices. During his time as co-head, Reese co-led the team advising shareholders of Convergence Pharmaceuticals on its acquisition by US biotechnology company Biogen for up to $675m. He also advised mobile commerce enabler MoPowered on its admission to trading on the London Stock Exchange’s Alternative Investment Market, which had a market capitalisation of approximately £15.8m on admission. Allen & Overy (A&O) has also recently bulked up its IP offering, taking a further two IP partners from Simmons & Simmons, the third and fourth IP partner A&O have taken this year from the firm. Meanwhile, Bond Dickinson has hired Olswang funds and regulatory partner Barry Stimpson. Stimpson joined Bond Dickinson in July and has spent the past two months working as a consultant for Olswang as he transferred over to UK national firm. Specialising in investment funds, joint ventures and limited liability partnerships, Stimpson joins Bond Dickinson with 26 years of legal experience. Joining Linklaters in 1987, Stimpson had a brief stint as an investment banking executive joining UBS in 1989 before signing on as partner at Blake Morgan in 1992. Since that time, Stimpson has been a partner at Squire Patton Boggs, RPC and DAC Beachcroft before joining Olswang in 2016 as a corporate partner. Rumoured to be in merger talks with CMS Cameron McKenna, Olswang is said to be ripe for a merger after the firm saw an 11% drop in its turnover for the 2015/16 financial year with revenues falling by £14.2m to £112.5m. Its profits per equity partner (PEP) remained steady at £490,000. Bond Dickinson is the latest firm to postpone its salary reviews until November, blaming the Brexit vote for hitting activity levels. In an email to staff managing partner Jonathan Blair told the firm there had been ‘a dip in activity levels’ and that ‘the decision to leave the EU appears to impacting on client activity and instructions’. The firm will now freeze pay reviews, reports RollOnFriday, with Blair saying the firm will ‘revisit this again in November once we know about once we know more about our performance year to date’. National firm Bond Dickinson has endured lacklustre financial performance for 2015/16. Revenues dropped 3% to £104m, down from £107m and profit per equity partner fell 3% to £275,000 for the year. A number of UK firms have put pay reviews on hold for staff after a slow market in the build up to the referendum to leave the EU. Berwin Leighton Paisner was the first City firm to freeze pay reviews post Brexit, notifying staff in July. 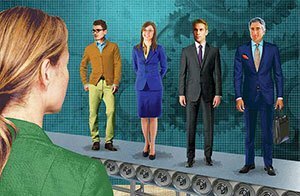 Fellow mid-tier firms Trowers & Hamlins, Addleshaw Goddard and Gowling WLG have all put their summer salary reviews on hold although Gowling WLG said earlier this week its freeze was over.